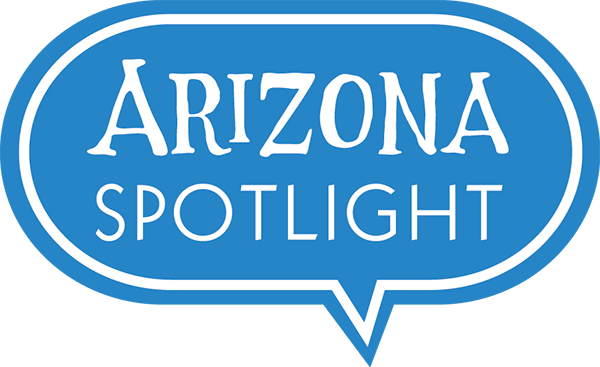 May 31, 2018 / Modified jun 1, 2018 3:07 p.m.
Also on Arizona Spotlight: How teens & seniors are working together to navigate the perils of the internet; Chris Dashiell looks back at a classic Arizona western called "Broken Arrow"; and why "shape note singing" has a loyal following. 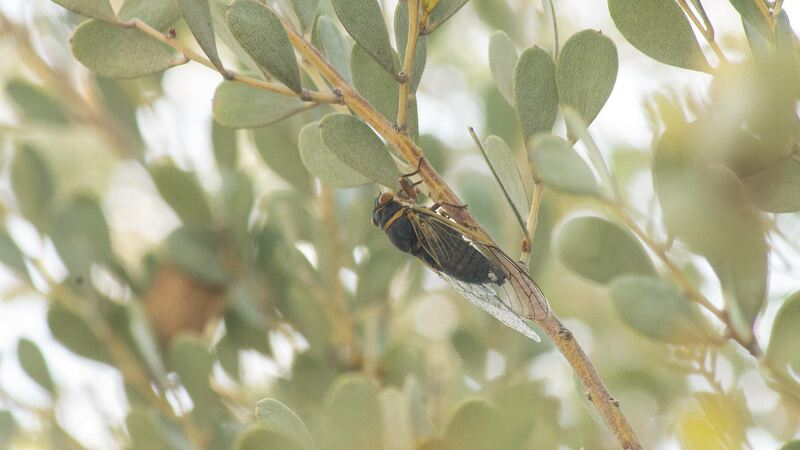 A cicada sits on a branch. Senior citizens can now learn about social media and strategies that can protect them from scammers from the generation that knows the internet best - teenagers. Brandon Mejia visits the "Teeniors" program, sponsored in Tucson by the YMCA. 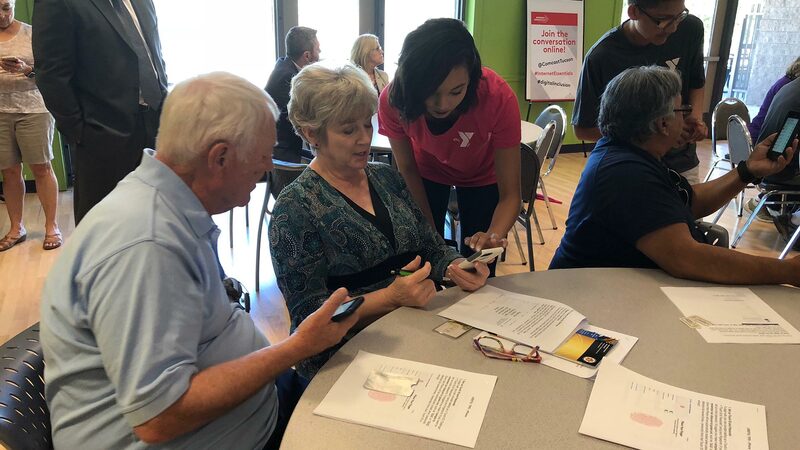 Joy Mona, 19, teaches two seniors how to navigate their iPhones at a pilot Teeniors workshop at the Northwest YMCA in Tucson. 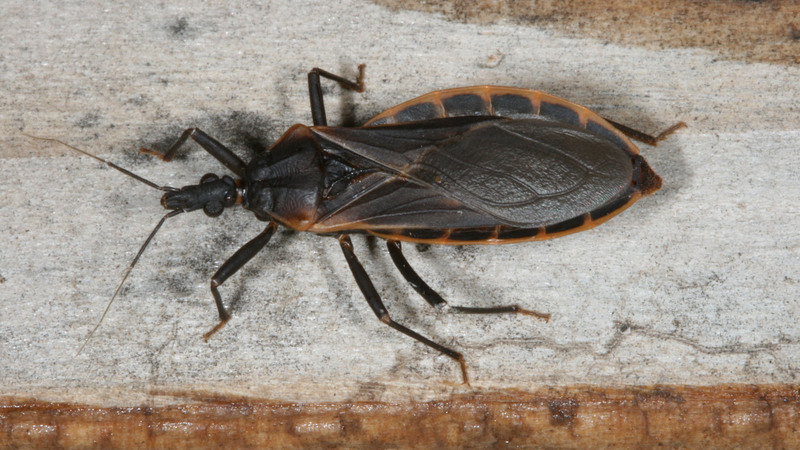 How are kissing bugs threatening public health in Bisbee? 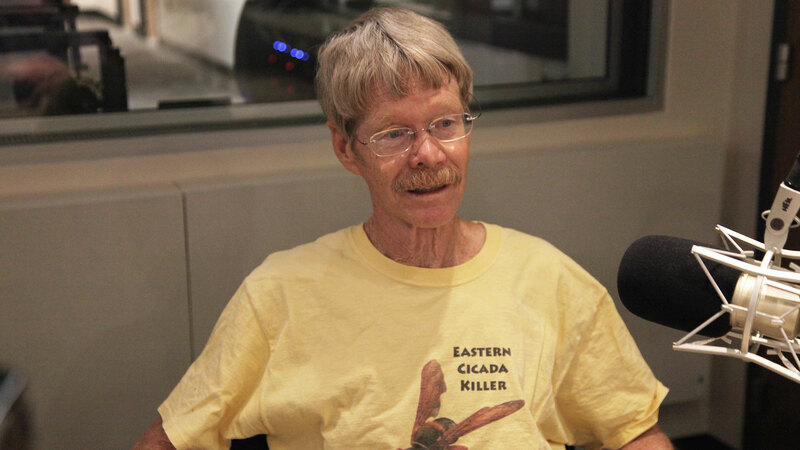 A conversation with entomologist Justin Schmidt, known as "The King of Sting", about his research into these biting insects, and a forecast for the summer cicada season that is already building in anticipation of monsoon weather. Justin O. Schmidt's book about experiencing the bites and stings of more than 80 different insects is called The Sting of the Wild: The Story of the Man Who Got Stung for Science, published by Johns Hopkins Press. Dr. Justin O. Schmidt, University of Arizona entomologist, in the AZPM radio studio. 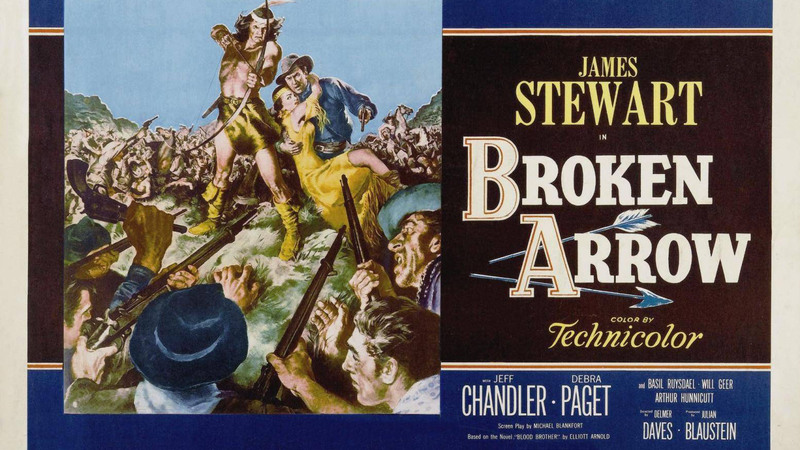 Film essayist Chris Dashiell looks back at the 1950 Jimmy Stewart western Broken Arrow, a film regarded as a turning point in the way Hollywood depicted Native Americans, to see if the example it set was one worth following. Poster for the 1950 movie starring James Stewart, Debra Paget & Jeff Chandler. And, explore the historical and spiritual ideas behind one of America's oldest and least known musical genres, as Dan Kruse meets some local practitioners who express themselves through "shape note singing". 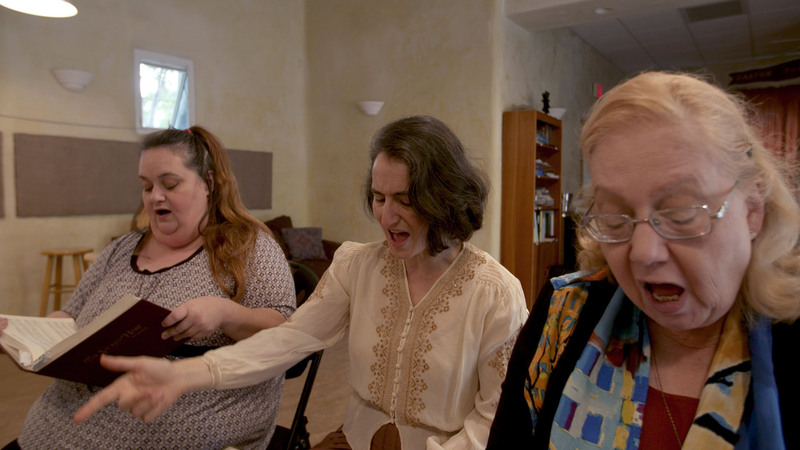 Three practitioners of shape note singing, making music with what they call "the sacred harp". A kissing bug, up close and personal. Overcoming Aphasia: "A River is Made Drop by Drop" A Love Triangle Becomes an "Invitation to a Bonfire" Taking a Trip to "Bundyville"